When you’re the kind of person to whom even beans on toast is a recipe fraught with peril, the idea of getting away from the kitchen and being treated to the fabulous cuisine on board a cruise ship is quite appealing. But great dining experiences don’t need to be confined to someone else’s kitchen. Oceania Cruises, the world’s leading culinary cruise line who snapped up the Best for Cuisine Award at this year’s Wave Awards, are offering guests aboard Marina and Riviera access to their Culinary Centre at sea where you can learn cooking tips from the clever minds behind Oceania’s award-winning cuisine. “In the Culinary Centre, guests cook under the instruction of faculty members who are experienced chefs and restaurateurs who have apprenticed under a who’s who of renowned chefs,” says Kathryn Kelly, director of culinary enrichment, at Oceania. Classes available include how to make the perfect crêpe for breakfast or dessert, getting to grips with the hearty grub on offer in the Baltic states, and how to master the chef knife without slicing your thumb off. And these are just a mere aperitif, there’s also courses teaching you how to master Greek, Italian, Spanish, Turkish and French cuisine as well as many, many more. 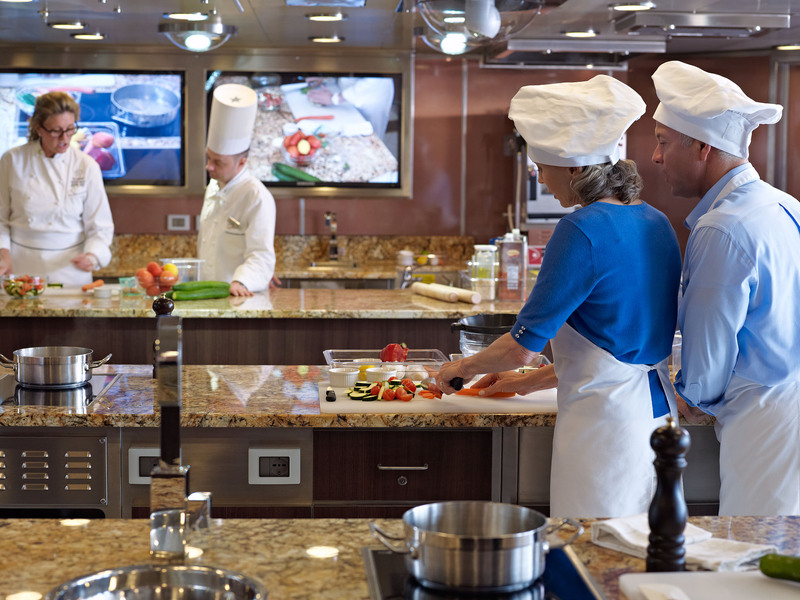 “As the only foodie-focused cruise line, we strive to provide our guests with one-of-a-kind, hands-on culinary experiences that immerse them in the culinary cultures of the world,” says Bob Binder, President and CEO of Oceania Cruises. So, if you want to turn yourself from a culinary catastrophe to a fabulous foodie, then you’ll want to get on board with Oceania when their new cooking classes debut in May.